The Gentleman's League is a nonprofit organization consisting of Southern Nevada community members. Our goal is to assist in fundraising endeavors for the benefit of other local nonprofit organizations, while enjoying the camaraderie of fortifying relationships among our members and with those we serve. Our staff is committed to delivering valuable aid to those in need in Southern Nevada. We’re transparent and accountable in our operations and fundraising efforts. With your generous contributions, we can continue our cause by supporting the local charities’ fundraising efforts. 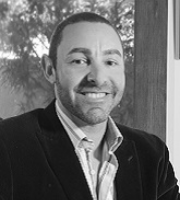 Jason Frederico is a financial advisor in the Las Vegas WestPac Wealth Partners office and a native of the town where he still resides. He graduated from the University of Nevada, Las Vegas with a degree in Public Administration, Bachelor of Arts. Jason has been in the financial services industry since 2005 and he assists clients in both individual and business markets with a primary emphasis on protecting families and businesses against catastrophic life events and retirement income planning. Jason has enjoyed coordinating a monthly event that feeds a couple hundred less fortunate individuals at a local church since 2013. He sits on three charitable advisory boards, including the Nevada Nurses Foundation, the Children’s Heart Foundation, and in 2016 founded and is President of The Gentleman’s League, a 501(c)(3) nonprofit organization that assists other charities in Southern Nevada with their fundraising efforts. ​Jason loves sports, travel, and the relationship he’s fortunate enough to have with his parents, as well as spending time with his two furry kids, Ninja and Titan, a black chihuahua and a blue-nose pit bull. Paul Gaudet is a 25-year resident of the Las Vegas Valley. 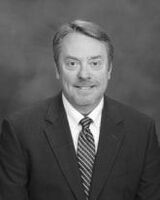 He practices law in Clark County, Nevada, and at times will venture to other Counties in our State for that purpose. He has a general trial practice, focusing on personal injury, domestic, commercial, and criminal litigation. In his free time, Paul enjoys time with his three children, sports, and the great outdoors. Through TGL, Paul looks forward to giving back to the community that has provided so much to him since relocating to Las Vegas. Edwin is an experienced physical therapist who has enjoyed working in a wide variety of clinical settings for the last 15 years. Having lived in the Las Vegas Valley for over 40 years, he has been successful in creating meaningful relationships with his patients and colleagues in other medical specialties. He is experienced in the treatment of adult, adolescent, and pediatric populations with congenital, traumatic and post-surgical diagnoses of the muscular-skeletal and neurological systems. Dr. Suarez’s facilities offer state-of-the-art equipment and experienced clinicians, providing low patient-to-clinician treatment ratios. He is the proud father of the three beautiful children and enjoys spending quality time with his friends and family, playing softball, and sitting poolside in his backyard with a six-pack of Coronas. Jeff Wucinich, a native of Las Vegas and a graduate of San Jose University, started in the mortgage industry in 2004 and is a branch manager and loan officer at Citywide Home Loans. It is his responsibility to ensure the mortgage process is a smooth and easy experience for his clients and that there is a strong ethical and honest presence during each transaction so that new homeowners have the best experience possible. Jeff is a licensed loan originator in NV, CA, ID and FL. Jeff is a huge football fan and closely follows the 49ers, Ohio State, and San Jose State, where he played college football himself. He’s a proud husband to his wife Carrie and they’ve got a young son who means the world to the two of them named Dominic. Steve Garhardt is a native of Las Vegas. He graduated from Bishop Gorman High School and continued his education and received his Bachelor of Science in Medical Biology at the University of Utah. He then attended Northwestern University in Chicago where he received his degree of Doctor of Dental Surgery and completed a Hospital Residency at UCLA. Steve returned to Las Vegas and now owns and operates his private practice for the past twenty years. Steve enjoys spending his free time with his wife (Jennifer) and his two daughters (Katie and Brooke). Steve is an avid outdoorsman and enjoys hunting, fishing and off-road racing. Steve's background and focus on his community has led him to various philanthropic opportunities. He also enjoys mentoring young dentists and students interested in pursuing dentistry. Aaron Lelah moved to Las Vegas from Los Angeles in 1982. He is the owner of Aaron Lelah Jewelers. As a custom Jeweler & Designer, he has been creating custom-made, fine jewelry for over 42 years. As a Master Jeweler he’s created thousands of unique and one-of-a-kind pieces of jewelry and his store has a large selection of finished rings, pendants, earrings, and watches. Aaron’s store takes great pride in the creative design process to make custom jewelry exactly to a client’s specifications. Custom-made jewelry is typically designed on paper and then carved from wax, which is melted away by extreme heat in the casting process, known as lost wax casting. Please, visit our store to view a step-by-step of the jewelry making process from start to finish. By custom carving each wax model individually, we can assure that each piece of jewelry is as unique as the person receiving it. If you have a picture or sketch of a design, this would be beneficial to us in creating your custom jewelry. We can also provide sketches or wax patterns of our designs for your approval. You can take pictures of the process of your custom jewelry being made. This close personal service helps to ensure that you get a very special one-of-a-kind treasure for many years to come. Aaron is married to his wonderful wife Stacy and they have four children, Renee, Joshua, Jessica, and Sarah. In his spare time, Aaron loves off-roading in his Jeep with friends that share the same passion. He is avid in charitable work, consistently making monetary donations and contributing his time to his temple, the Make A Wish Foundation, St. Jude’s Ranch for Children, Mondays Dark, and Susan G. Komen – Nevada, to name a few. David Rounds is a Las Vegas native and graduated from Chaparral High School and attended UNLV. He founded uptimeLV in 2001, and joined forces with NetEffect on July 1, 2014. David has more than 20 years of experience in information technology, management, B2B technology sales, network installation, system design, and consulting. He’s held numerous roles in both technology and management. He taught Microsoft curriculum to IT professionals, as well as held technical consulting and management positions in consulting and private business. He positioned uptimeLV as the first Microsoft Gold Certified Partner in Las Vegas, and has earned several awards from Microsoft. David is highly regarded by his clients as having a high level of technical expertise and business acumen, along with the ability to create a solid strategic direction with regard to technology. David’s role at NetEffect includes oversight of the company’s day to day operations to insure the highest level of technical and customer service delivery, and maintain operational efficiency, quality, and cost-effective management of resources. Rick Cenname moved to the Las Vegas Valley in 1993 to finish high school and later attended the University of Nevada, Las Vegas, where he graduated from in 2000 with two Bachelor of Science Degrees, one in Managerial Finance and the other in Financial Services. He’s been involved in the real estate field since 1998, previously owning his own real estate and mortgage company for over 14 successful years. After a career change led him to pursue a position as an Algebra teacher at Del Sol High School while he was studying to obtain a Master’s Degree in secondary education, Rick assumed the role of Sales Manager for Equity Title of Nevada, a title and escrow company, providing real estate settlement services. Rick is happily married and has 3 children, Tyler, Jordyn, and Dylin. He enjoys spending time with his family, traveling, playing sports, spending time outdoors, golfing, and volunteering for local charitable events. Ed Sisson has been part of the Las Vegas community for nearly 15 years. As an owner of Prosthetic Center for Excellence, a practice dedicated to providing prosthetics and orthotics for hundreds of patients in Southern Nevada and beyond, Ed is committed to not only being an active part of the community, but also trying to leave it better than he found it. Ed has been married to his wife and business partner, Lesleigh, for 31 years. They have two adult sons, two daughters in love, and 2.5 grandchildren (one is on the way). Ed enjoys traveling and spending time outdoors through hiking, fishing, and camping. He is also an active member of The Crossing and regularly participates in mission trips abroad, helping bring hope to those in need. Daniel Hayden has been in the insurance industry for about 10 years and loves what he does and who he works for, which is an independent insurance company called AMS Insurance. They can write all types of personal and commercial lines of business. AMS is also appointed with multiple carriers so they are always able to do what is in the best interest of the client. Because of his passion around the business in general and the relationship he has with his clients, he looks to continue building on his career within the company. Daniel was born and raised in Las Vegas and loves living in the city he still calls home. He’s lived all over the U.S. but always ends up back in Las Vegas and sees himself staying here for the rest of his life. He is married to a wonderful woman and they have three great children together that keep them very busy, a son and two daughters. In his free time, Daniel likes to spend time with his family and be outdoors, including activities such as riding his bike, running, and swimming. He’s also into wood working and building projects. Daniel is also takes an active role in his church and with a local Boy Scout group. Dr. Juan C. Martínez-Moreno has been living in Las Vegas since 2008. He is the board certified physiatrist and medical director of Nevada Muscle and Nerve, a physical medicine and rehabilitation practice focused on the diagnosis, treatment, and rehabilitation of injuries, ailments, or illnesses of the musculoskeletal and nervous systems that impact peoples’ abilities to function optimally. Throughout his medical career he has been the recipient of several professional distinctions, including a Good Samaritan Award for helping transport a disabled patient back to his country of origin to be reunited with his family. In his spare time, Dr. Martínez also enjoys surfing, sailing, hiking, playing the guitar, and spending quality time with his wife and three children. His philanthropic undertakings have included volunteering as staff of adapted sports events, coordinating donations to the Toys for Tots Campaign, career counseling children of local schools, and supporting multiple other charitable causes and organizations such as the Special Olympics, and St. Jude Children’s Research Hospital, among others. Rick Obringer is a Physician Assistant in orthopedic & spine surgery. In 2004, he started Advanced Surgical Associates, a successful first of it’s kind PA staffing service in Las Vegas which later extended into Utah. ​Rick has been a volunteer and board member for several non-profit organizations for 30 years. Mission work included two trips to Vietnam serving orphans, launching a medical mission, and home build missions to Mexico with his church. Rick loves to spend as much time as he can with family & friends. In his free time, Rick enjoys lifelong passions of snow skiing, mountain biking, and off roading in his FJ Cruiser. As a chronic outdoor enthusiast, he recently purchased a SkiByk and has taken up strategic shooting and handgun training including IDPA competition. Allan Elmore is a Gentleman Emeritus and proudly served with The Gentleman's League prior to his relocation to Ormand Beach, Florida. Allan received his Bachelor of Arts in Criminal Justice from John Jay College, CUNY, and his Juris Doctorate from Fordham University, prior to becoming licensed to practice law in New York. He previously held a position in the U.S. Armed Forces with the Coast Guard and later served as a Captain in the Navy during the Desert Storm Gulf War. He was also a Police Officer and Detective with the New York City Police Department until his retirement from the force in 1979. He later became a Senior Trial Attorney for the General Services Administration and the Department of the Navy as well as an Administrative Judge for the Armed Services Board of Contract Appeals and he served in that position until he retired in 2003. ​Allan has two children, a son and daughter, and enjoys spending his spare time volunteering with the USO, American Red Cross, AmVets, the Salvation Army, and with the Board of Veterans Appeals. Constantine is from Cleveland, OH, and moved out to Las Vegas in 2005 where he worked in the casino industry until the time he founded C & K Designs. C & K Designs is a printing, graphics, and embroidery company located in Las Vegas, NV. He enjoys working with clients to help them build their marketing reach using quality print, graphic, and embroidery products. When he’s not working, Constantine enjoys spending time with his family, drag racing, building race cars and custom vehicles. ©2019 The Gentleman's League. All Rights Reserved.